Almost everyone has their favorites must-haves for Thanksgiving, but if you’re interested to add something new to your table, take a look at AllRecipes Thanksgiving for ideas. The GRCC Library culinary collection has several books on cooking game – and others on holiday cooking – (okay mostly desserts :>). Check them out before heading home from campus. Like the idea of cooking, but not necessarily the actual work? 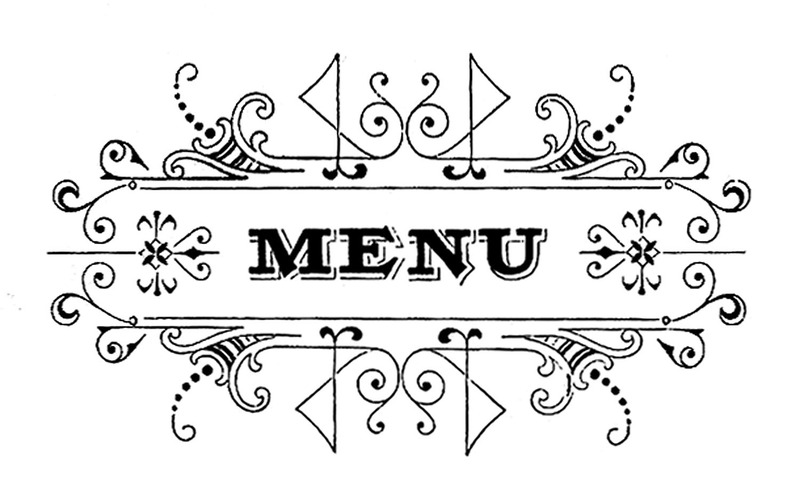 Enjoy these menus from several historical menu collections from the Culinary Arts Subject Guide. Comments Off on What’s on your Thanksgiving Menu? With a looming Course Pack deadline, faculty may have copyright questions. There are legal ways to avoid having to create expensive-for students-to-print course packs. Contact your assigned library liaison for assistance with questions about using copyrighted materials in Blackboard, class handouts, or in course packs. Librarians can help you use RightFind Academic – Copyright Clearance Center‘s annual academic license. CCC updated their system considerably this summer, and now requires a logon if you intend to use this from off-campus. Librarians can help: verify citations; determine a copyright owner; set up a Course Reserve; or permalink licensed library resources into Blackboard. Please take a look at the Copyright Subject Guide. It’s inevitable. That conversation that most college students hate… but you know it’s coming – at the Thanksgiving dinner table. “So, dear, what do you plan to do after college?” asks that formerly favorite aunt, uncle or grandparent. If you’re at a loss, consider taking a career interest inventory to see what jobs match your interests, attitudes, and potential skills. Ferguson’s Career Guidance Center has one with 180 (quick) questions that will create a list of potential careers of interest and links to quality information about those careers. Other assessments are available in CLS100 classes, and in Counseling. Log into Ferguson’s with your last name and 7-digit Raider number!. See the Careers Subject Guide, or the [Careers & Education] tab on most Subject Guides. RightFind Copyright System Maintenance this Weekend. Faculty, please note that the Copyright Clearance Center’s RightFind Academic system will be unavailable Friday October 12th 9:00PM EDT through Saturday, October 13th 4:00PM EDT. Contact your assigned library liaison for assistance with questions about using copyrighted materials in Blackboard, class handouts, or, in course packs. There are legal ways to avoid having to create expensive-to-print course packs. Librarian can help: verify citations; determine a copyright owner; set up a Course Reserve; and, permalink licensed library resources into Blackboard. Please take a look at the Copyright Subject Guide. Comments Off on RightFind Copyright System Maintenance this Weekend. The National Domestic Viol ence Hotline can help if you are abused, know someone who is abused, or, want to be more educated about the potential signs of abuse. The US Centers for Disease Control calls domestic violence a “serious preventable public health problem,” and have a streaming video, What is Intimate Partner Violence? that explains some of the challenges. Library databases that cover this topic well are SocINDEX with Full-Text and ProQuest Criminal Justice Database. Logon with your last name and 7-digit Raider number.